This time a game review for Anime UK News, covering Danganronpa 2. 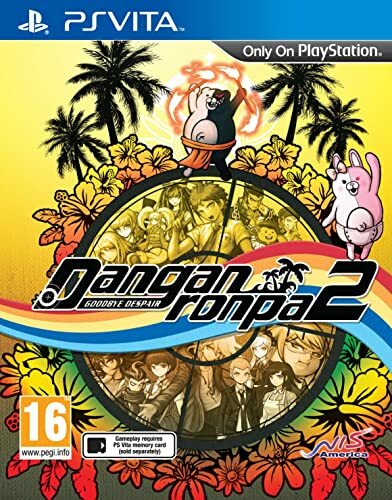 This entry was posted in Anime, Anime UK News, Games, Review and tagged anime, Anime UK News, Computer Game, Dangan Ronpa, Dangan Ronpa 2, Danganronpa, Danganronpa 2, Playstation Vita, PS Vita, Review, Video Game, visual novel by Ian Wolf. Bookmark the permalink. Great game. If an anime adaptation isn’t forthcoming I won’t be too disappointed. The last cartoon was good, but with just 13 episodes it felt rushed.